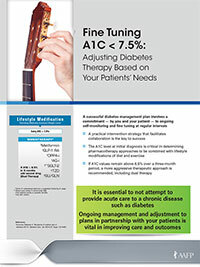 Below you will find the educational information presented during the IDEAL® CME/CE activity at AAFP, held on Ocotber 22-25, 2014 in Washington, DC – The Diabetes Duet: Developing a Collaborative Care Plan in Concert with Your Patient to Reduce Risk and Improve Outcomes. This material is provided for your information only. CME/CE credit was offered for participating during the live event only. 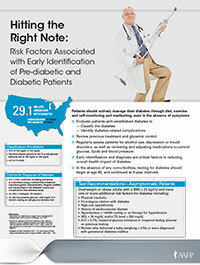 True or False, pre-diabetic and diabetic patients should limit their physical activity in order to avoid aggravating any pre-existing comorbidities. 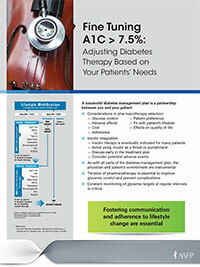 True or False, targeting A1C of approximately 6.5% is essential for all diabetes patients as part of their management plan? 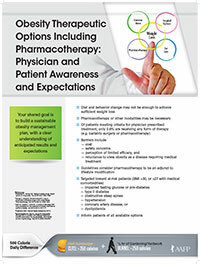 True or False, per the American Diabetes Association and American Association of Clinical Endocrinologist guidelines, intensive glucose control, including the use of insulin, is essential in treatment of pre-diabetic patients. 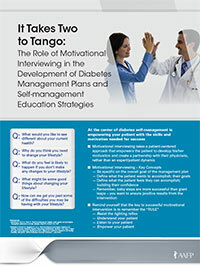 Which of the following are essential for establishing a successful diabetes management plan? 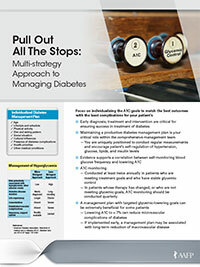 What needs to be considered when choosing a glycemic therapy for you diabetic patient? 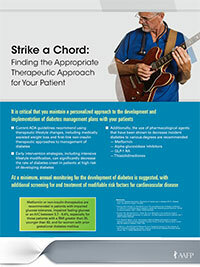 Supported in part by a grant to the AAFP from Merck and Novo Nordisk.